The Peel District School Board is asking the provincial government to “change its narrative” on education, claiming that a series of announced changes to class sizes, special education funding and e-learning will put students and jobs at risk in Peel Region. PDSB chair Stan Cameron, writing to Minister of Education Lisa Thompson last week, held back no punches in laying out the drastic impact of moving ahead with changes that include increasing the average size of high school classes by six students. “If we were required to fully implement the ministry’s changes to class size and funding restrictions this September 2019, 500 secondary teaching jobs would be lost due to proposed class size changes. Other jobs, including custodial, office administration and centrally assigned support staff would also be impacted,” Cameron writes in the letter sent March 26, adding that bigger classes, combined with a new requirement that every student take an online class, could cause graduation rates in the region to plummet. Increased class sizes will have an acute impact in Brampton, where schools are already bursting at the seams, forcing many students to take classes in portables. 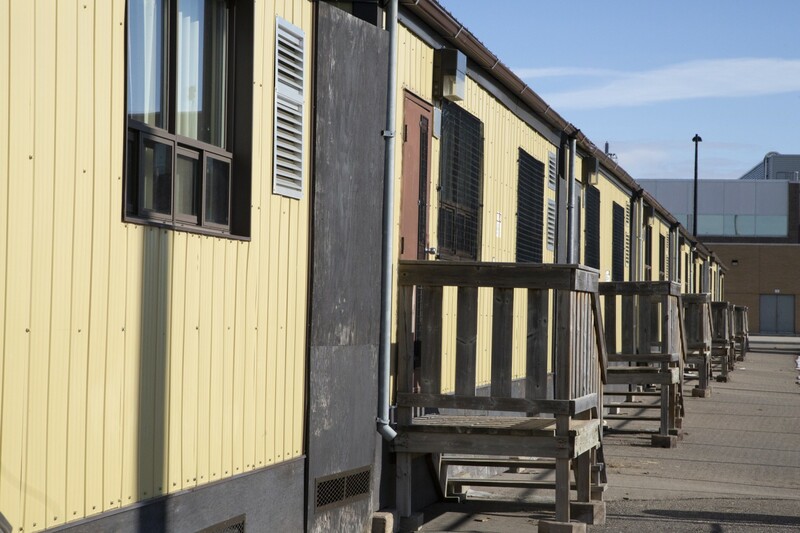 The modular classrooms have become a common sight on the perimeter of Peel schoolyards. 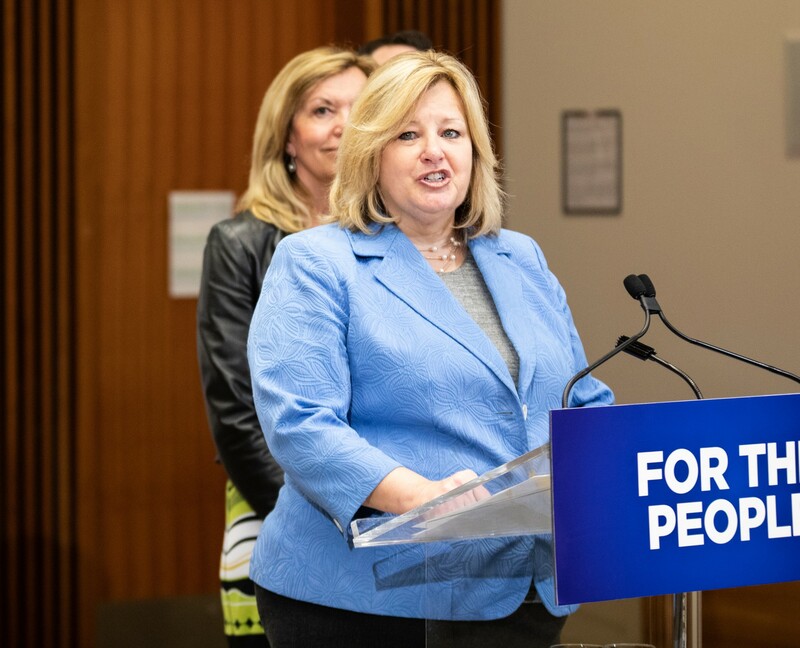 Under the proposal by the governing Progressive Conservatives, average class sizes for high schools will rise from 22 to 28, with some classes much larger than that to make up for specialized classes with fewer students. Caps on primary school classes will remain in place, while an average increase of one student will be allowed in Grade 4 to 8 classrooms. “This proposal is evidence-based,” Thompson said at a news conference when the announcement was made. However, Cameron argues that when it comes to class sizes, smaller is better. “In smaller classes, students are more engaged and able to focus on relevant tasks. Teachers are also able to spend more one-on-one time supporting student learning and well-being, are better able to individualize instruction, and spend less time on classroom management,” Cameron writes. The 500 lost teaching positions statement appears to contradict claims made by Thompson earlier this month when she said the changes, which are to be phased in over the next four years, would have no impact on jobs. “Not one teacher, not one, will lose their jobs because of our class size strategy. None,” she said. Peel students plan to join others across Ontario who are planning school walkouts over the next two days to protest Ford’s plans for education. The crop of changes announced on March 15 included a much-publicized blanket ban on cellphones in classrooms (which school administrators and teachers have long had the option to impose), along with modernizing EQAO standardized testing and alterations to school and student grant funding. The issue also found its way onto the floor of Queen’s Park on Wednesday, with Brampton East MPP Gurratan Singh (NDP) criticizing the PC government’s approach and its impact on Brampton students. The Peel Board is also concerned about the potential effects on autism programming in the region’s schools. After a fierce blowback earlier this year from advocates across the province to a previously proposed plan to alter funding for autism programs, the Ford government announced that school boards will receive $12,300 per student with autism even if they enroll late in the year. However, that’s the same funding as it gives each board for regular students enrolled by March. Thompson and the education ministry have also announced a round of consultations, which are to include parents of children with autism, beginning in May to better understand the scope of the issue. The Peel District School Board currently teaches 3,034 students with autism, and between 250 and 300 of those students are affected by changes to the province’s Ontario Autism Program (OAP). While not referring to the high school students who are planning to stand up and leave their classrooms tomorrow and Friday, Cameron notes in the letter that it’s time for the government to listen to those most affected by its decisions. “We must partner on public education, and the province must listen to all partners, including students. Student voice should be a strong driver of ministry decisions. When we move from viewing students as stakeholders to students as collaborators, they not only articulate their views, but will help shape the future of public education in Ontario, a future that was already bright,” he writes.